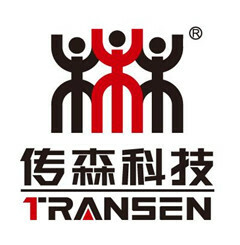 About US Products - Dalian Transen Technology Co.,Ltd. Quality, innovation, and reliability are trademarks for U. S. Products professional cleaning equipment. U.S. Products manufactures a full line of portable hot water carpet extractors, upholstery, drapery, and dry cleaners, air movers, solution tanks, hard surface cleaning equipment, and restoration equipment.U.S. Products is a leading manufacturer of carpet, upholstery, drapery, stone, concrete, & tile cleaning and restoration equipment, tools and chemicals for the floor care professional. In manufacturing, quality, reliability and innovation are words that are frequently advertised. At U.S. Products, we have the track record to demonstrate we have put them into action.Here are just a few of U.S. Products innovation and proven track record in action: •U.S. Products revolutionized cleaning equipment manufacturing with the solid state circuitry and heating element controls in the Ultimate Upholstery and Drapery Cleaning machine. •We introduced in-line circuit testing detection that identified to the operator they were plugged into separate circuits on two corded equipment. •U.S. Products was the first extractor manufacturer to ensure you were supplied with instant 212 degree F heated water at the wand tip. •We made using high performance portable hot water extraction equipment expand beyond carpet care with high solution pressure, solution heating and waste recovery capabilities standard with all of our box extractors. Now stone, tile, concrete and grout floors can be cleaned at levels previously not possible with standard floor scrubbing equipment and tools. •We introduced built-in hose handling capacity to the extractor market with the King Cobra series of extractors. •We made mobility and ease of moving equipment and tools through the facility standard fare with the innovative design of the PEX extractor series. •We innovated the use of portable extractors specifically designed and engineered for water removal and extraction in water and flood damage restoration with the Flood Pumper and Flood King. •The triple Play Spot Removal Extractor is the first and only three tank portable spotting machine — one for solution, one for extraction rinse, and one for recovery. •The Patriot Air Scrubber was the first rotationally molded air scrubber and negative air machine that can be used in either a vertical or horizontal position designed specifically for the restoration and remediation professional. •The Evolution Truckmount Carpet Wand transformed the way extraction wands are made. It is a faster, fatigue reducing tool that reduces drying time. Independent, third party laboratory tests confirmed the Evolution to the best extraction wand ever built when it comes to cleaning and drying times. •In addition, we roto-mold all our products in our production facility to insure the bodies on all our equipment are manufactured to the highest standards. That’s why we can give you a lifetime guaranty on all our rotationally molded bodies on our carpet extractors, hard surface machines and restoration equipment. •Finally, during production each piece of equipment goes through multiple inspections before it is shipped. Unlike many manufacturers that randomly test their equipment, every piece of U.S. Products equipment is tested to insure it was built to our standards and operates to the level it was advertised. •We believe that when you purchase a piece of equipment from U.S. Products, you own a reliable product that will perform and deliver the results you and your customers expect. Previous ：Which Is Best Instant Water Heater Or Storage Water Heater?